Zinc is a trace mineral you need for normal growth and healthy immune system function. It's involved in protein production, DNA synthesis, and cell division. Zinc is also necessary for hundreds of enzymes that function in different chemical reactions and is also crucial for a normal sense of smell and taste. The National Academies of Sciences, Engineering and Medicine, Health and Medicine Division has set dietary reference intakes (DRIs) for zinc based on age. Dietary zinc is found in protein-rich foods such as meat, poultry, fish and seafood. 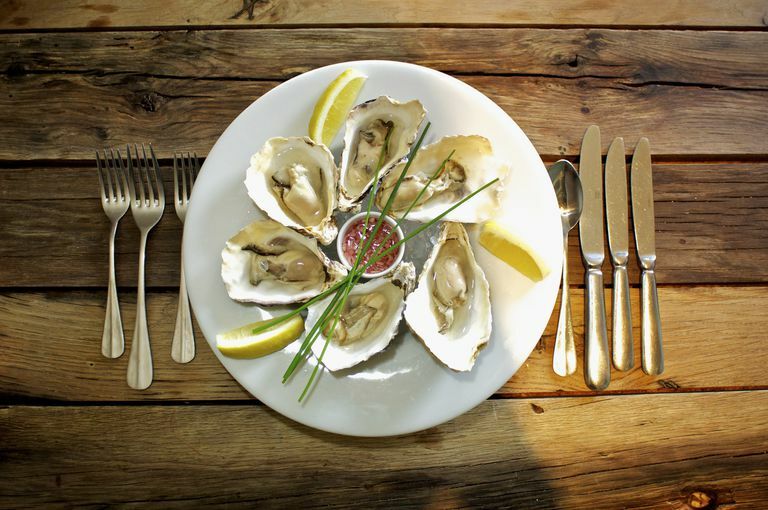 Oysters are particularly high in zinc. Legumes, nuts, whole grains and dairy products also contain zinc. Your body doesn't have a good storage system for zinc, so you need to eat foods that contain zinc every day. Vegetarians, pregnant or nursing women, alcoholics and people with digestive system conditions may benefit from eating foods rich in zinc or by taking supplements (speak to your doctor first). Zinc toxicity is possible if you take too much zinc as a dietary supplement. People with inflammatory bowel diseases (IBD) or certain types of gastrointestinal surgery may have difficulty absorbing zinc. Pregnant women may be at a greater risk because the fetus requires large amounts. Vegetarians may need extra zinc because many of the plant sources of zinc are also high in phytates, which reduce absorbability. Deficiency isn't common in developed countries, and it's rarely found in children and young adults. Zinc deficiency is often difficult to detect because the amount of zinc in serum (the part of blood that is tested) doesn't represent the amount that's found in the cells. Taking too much zinc as a supplement all at once can cause nausea, vomiting, cramps, diarrhea, and headaches. Taking megadoses of zinc every day for an extended period can cause problems with copper and iron, damage the immune system and reduce HDL cholesterol levels. Zinc supplements can also interact with some medications. The National Academies of Sciences, Engineering and Medicine, Health and Medicine Division set the daily tolerable upper intake (UL) for vitamins and minerals. The UL is the maximum level you can take every day (from both foods and supplements) that should not cause any health problems. National Academies of Sciences, Engineering and Medicine, Health and Medicine Division. "Dietary Reference Intakes Tables and Application." Accessed March 16, 2016. http://www.nationalacademies.org/hmd/Activities/Nutrition/SummaryDRIs/DRI-Tables.aspx. National Eye Institute, National Institutes of Health. "Age-Related Eye Disease Study--Results." Accessed March 16, 2016. http://www.nei.nih.gov/amd/. Office of Dietary Supplements, National Institutes of Health. "Dietary Supplement Fact Sheet: Zinc." Accessed March 16, 2016. http://ods.od.nih.gov/factsheets/Zinc-HealthProfessional/.